Members are encouraged to attend a Town Hall meeting on January 22nd at 7pm. The purpose of this meeting is to follow-up on the presentation made at the end of the AGM this past November where we discussed the Harbour Redevelopment Project, longer term club remediation projects, and longer term financial planning. The engineering firm has indicated that some remediation work should be done in conjunction with the Harbour Project while other remediation work may be able to be delayed. This is almost exclusively work that needs to be done with or without the Harbour Redevelopment Project. This Town Hall meeting will be an information meeting where we will talk about what work needs to be done, when it needs to be done, how much it might cost, and how it might be financed. We plan to have follow-up meetings to gather member input in order provide guidance for the board to move forward. With winter of 2014 proving to be a real Canadian Winter, KYC has decided to gives its members an opportunity to get out and enjoy it as only we can. 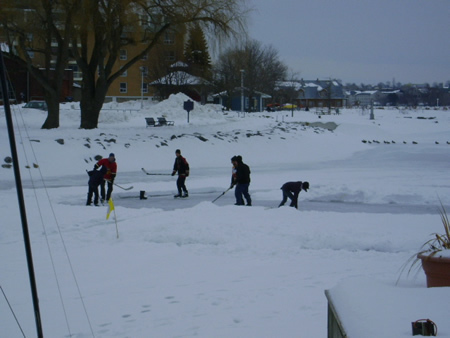 Two rinks have been cleared and flooded, one for non hockeyites and the other for the Greztkys and Lafleurs among us. Set to open this Saturday and with promising weather, to stay open as late as possible. So organize yourselves and come out and enjoy. 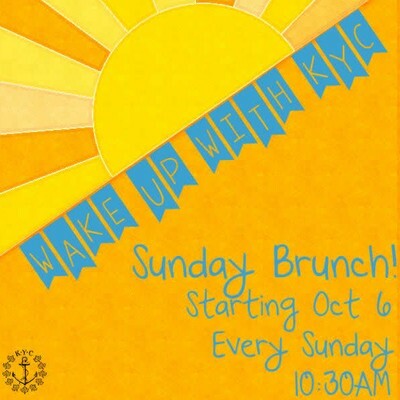 The Bar will feature Specialty Hot Chocolate and Coffee options, for both young folks and, not so young folks! Child-friendly DVDs will be available for viewing in Sunshine Lounge so kids can be entertained while they are warming up. The Leadership and Achievement Award for the Top Sailing Coach is again going to Rob Frost. As coach of the year and primarily our 29er skiff coach his athletes won 2 Gold’s and a Silver at last summer’s Canada Games. 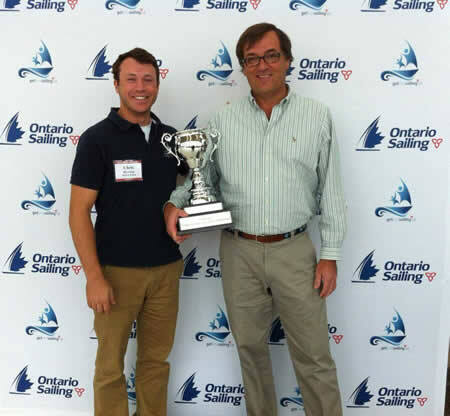 Best Double Handed Yacht Club in Ontario based on the rankings of our double handed sailors in the Ontario Sailing events from 2013. This award was deeded and donated by Ted Ison so it is fitting that it coming to KYC. Our KYC National Team sailors are training for major World Cup events that are about to bein in Miami. Danielle Boyd is competing in the newest Olympic Class the 49’er FX woman’s skiff. Dani and her helm Erin Rafuse are also in Florida and will be sailing in World Cup Event in Miami, January 23-28, 2014.